I’ve never done a cyclocross race before. Can I ride in the Rustbucket Races? The Washington Post also published an article about why cyclocross is great for first-time bike racers. What will I need if I want to ride in the race? You will need three things: a bicycle, a bicycle helmet, and a license from USA Cycling. What kind of bicycle can I ride in the race? You can ride a mountain bike or a road bike. (There are also dedicated cyclocross bikes, but let’s not get carried away.) Keep in mind that there will be parts of the course where you will need to carry or push your bike, so you may want to reconsider any added weight (like the suspension forks on some mountain bikes). If you have a road bike, you may want to try wider tires than you normally use on the road. 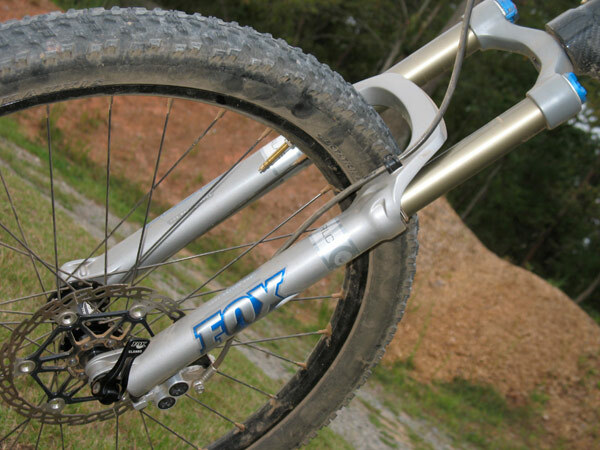 If you have a mountain bike, you may want a less knobby tire than you would ride on the trail. If you have a mountain bike, you must remove the bar ends. You will need a working brake on each wheel. For a more detailed review, you can find the USAC rule book here. Of course, the friendly folks at Hund’s Re-Cycle Factory will be able to answer any questions and can help you get your bike set up for race day. Call them at (757) 962-2100, or drop by the shop at 4909 Colley Avenue in Norfolk (they’re closed on Mondays). What is USA Cycling (USAC)? USAC is the governing body for competitive cycling in the United States. You can find out more here. The Rustbucket Races are held under a permit issued by USA Cycling and all USA Cycling rules will apply. What is a USAC license? USAC issues annual licenses to people who want to compete in its sanctioned bicycle races. You can get started here. With an annual license, you can ride in as many races and events as you would like. If you do not have an annual license and just want to try it out, you can purchase a one-day license for $10.00 when you register. The paper application for the one-day license will be ready for you at registration on race day. If you have are racing on a one-day license, you will be classified as a Category 5 racer. Riders with one-day licenses are eligible for most of the races. Is it really free for kids to race? Yes. Riders in the Little Belgians (ages 6-9) race are free. Riders under 18 must have a parent or guardian present to sign the USAC waiver form. Can I race more than one time on race day? Yes, please! When you register for an additional race, you will be charged only $5.00, rather than the full price of the additional race. What should I wear? Do I need to wear the stretchy pants? No worries, Chancho! Stretchy pants are not required. Dress for the weather (race day is December 29), and keep in mind that you are likely to get muddy. Also, you will need to pin your race number to the side of your shirt. What if I don’t want to ride, but want to see what the fuss is about? Can I still come to the Rustbucket Races? Yes! Spectators are invited and it’s free to attend. You will be able to see most of the course from anywhere you set up your lawn chair. Bring a cowbell and ring it to your heart’s content! Are there other cyclocross races in Virginia? Please check out the Virginia Cyclocross Series (VACX) and support your scene! Have a question that is not answered here? Please email the organizers at rustbucketraces[at]gmail.com!